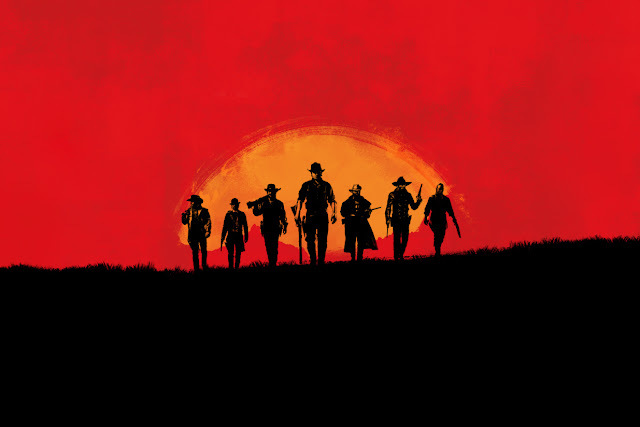 After teasing the game yesterday and over the weekend, Rockstar has officially announced the next installment of the Red Dead series: Red Dead Redemption 2. The first entry in the acclaimed Western series since 2010′s Redemption, the new Red Dead is being billed on its official website as “an epic tale of life in America’s unforgiving heartland. The game’s vast and atmospheric world will also provide the foundation for a brand new online multiplayer experience.” It remains unknown, however, if the game will follow the events of Redemption or be a prequel of some kind. We should know a bit more when Rockstar drops the game’s first trailer this Thursday, October 20, at 11 a.m. ET.